Ah, basic transportation; it’s as Japanese as Godzilla… or Nissan’s 2015 Versa sedan. The 5-passenger subcompact Versa will get you to work, to the mall or over to visit the folks with few frills, little fanfare and, odds are, without a speeding ticket. It also has a surprisingly capacious trunk (14.9 cubic feet) and a rear seat that’ll actually accommodate 3 adults fairly comfortably, not to mention a distinctly livable MSRP. Again for 2015, trims remain the base S, the slightly up-ticked S Plus, the further upgraded SV and the flagship SL, and while this little family runabout is officially (in the minds of most reviewers) a carryover, the upcoming Versa lineup is expected to sport a few subtle changes. 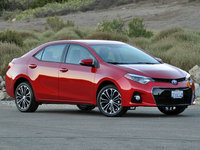 Outside, look for some added tweaks, including a chrome grille, to refresh the front fascia, along with a set of Sentra-like slashing headlights and, in the rear, a slightly new-look bumper. Alterations inside are expected to include standard Bluetooth inserted lineup-wide, as well as some classy looking LED instrument cluster lighting, a new black finish to knobs and inserts, and a couple of new fabric choices. 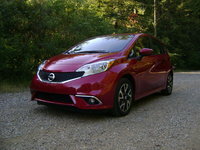 Furthermore, the Technology Package, available only to the SL, now offers, besides NissanConnect navigation, some added mobile apps, as well as a set of 15-inch alloy wheels that look eerily like those adorning Nissan’s sporty Versa Note hatchback. Again for 2015, that basic-transportation blandness reigns, with the standard 15-inch steel wheels and power-adjustable mirrors that drape the lower Versa trims. As one moves up through the lineup, one should look for a rear spoiler to again grace the S Plus and higher trims, while the SL is expected to return with standard 16-inch alloy wheels. Upgraded cloth upholstery, meanwhile, spruces up the interior of the lower trims, with premium cloth upholstery delivered in the top-shelf SL. Full power accessories, cruise control and simulated alloy cabin accents complement the new black finish in the S Plus and above trims, while tilt-wheel steering and air conditioning remain standard in all Versa trims. Entertainment in 2015 Versa iterations is expected to again start with the base S offering only an AM/FM stereo with a pair of speakers, and improves with the S Plus and SV, which boast a single-CD player and 4 speakers, and the SL, which adds satellite radio. In maintaining tradition, lower Versa trims remain eligible for many of those features found standard in the higher trims as options. Meantime, look for the SL to be delivered with the aforementioned optional Technology Package, which also is slated to return with the 5.8-inch dashboard-mounted display. Power-wise, the much-maligned 1.6-liter inline 4-cylinder engine is scheduled to return in all 2015 Versa editions, as is the choice of 3 transmissions. The base S can be equipped with the standard 5-speed manual transmission or with a somewhat outdated 4-speed automatic, while all other trims are expected to pack a continuously variable transmission (CVT) standard. No matter the shifter selection, look for this anemic 4-banger to huff out 109 hp and 107 lb-ft of torque, while the 5-speed stick shift should allow 27 mpg city/36 highway, the 4-speed automatic 26/35 and the CVT an impressive 31/40. Finally, bare-bones safety features are again slated to equip all Versa trims for 2015, including 4-wheel antilock brakes (ABS), traction and stability control, front side-mounted airbags, and front and rear head airbags. The SL, meanwhile, should again flaunt standard front fog/driving lights, with each trim remaining eligible for Nissan’s optional VTRS (Vehicle Tracking and Recovery System). Expect the 2015 Versa line to go on sale in the summer of 2014. 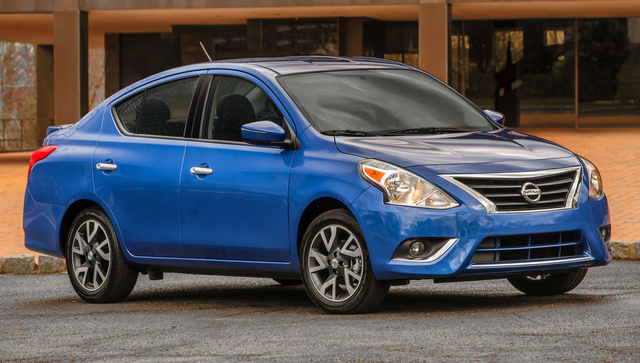 What's your take on the 2015 Nissan Versa? 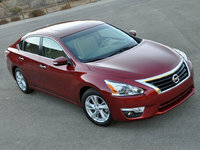 Users ranked 2015 Nissan Versa against other cars which they drove/owned. Each ranking was based on 9 categories. Here is the summary of top rankings. 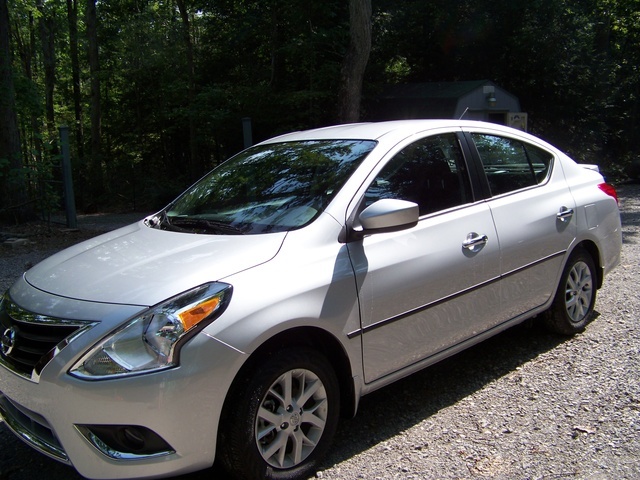 Have you driven a 2015 Nissan Versa?